Coach HC8219 is a Full Rim frame for Women, which is made of Acetate. The sunglasses are available with gradient tinted lenses - Gradient tints are tints that start off at a darker color at the top of a lens and then gradually lighten towards the bottom of the lenses. 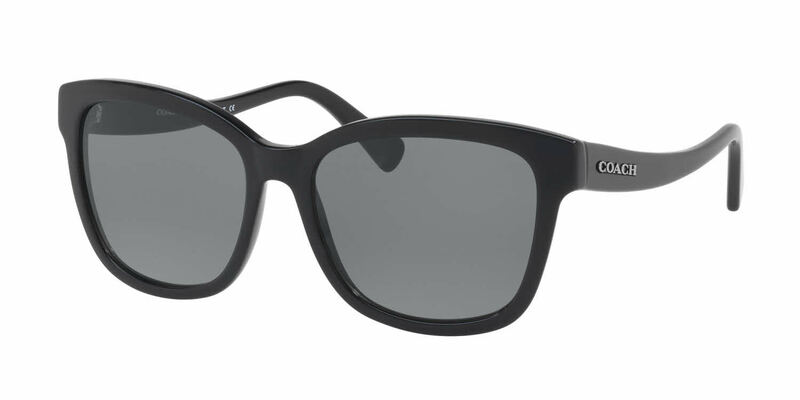 These tints are great for fashion and for reading outside on sunny days. Gradient coatings work by allowing an appropriate amount of light to filter through in certain areas and less in places where protection is most necessary. Coach HC8219 RXSunglasses come with a cleaning cloth and protective carrying case.